For text recognition using MLKit, please refer my article here. For image labeling using MLKit, please refer my article here. 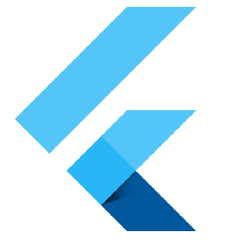 mlkit 0.5.0 — A Flutter plugin to use the Firebase ML Kit. Now, create a project using Firebase by referring the article. Please note that the name of your app should be same in the Firebase, your project’s manifest.xml (if playing in android) and in the app-level build.gradle (if playing in android). Face Detection using MLKit in Flutter…. Include the google-services.json in the app directory of android. (one of the steps in Firebase project setup). VisionFace of MlKit library, is used for storing the parameters which are detected from the selected image. Next, create an instance of FirebaseVisionFaceDetector. Next, select the face using the floating action button. We are using the images from the device in this program, but we can anytime change it to select from camera by altering the source in the following line. For further details, please refer my article here. Rect : Rectangle path of the face from the entire image. Finally, we have outlined the face from the whole image using Rect class of Flutter.